Last evening the Israeli Wine Lovers Club met to taste 8 wines produced by Israel’s Tabor Winery. Kfar Tabor was founded over 100 in the heart of Galilee by Baron de Rothschild. As most communities of the times it too was an agricultural settlement but primarily dedicated to its vineyards. Soon they became grape suppliers to Israel’s leading wineries. In 1997, four local families decided to start their own winery using Kfar Tabor’s fruit, by 2005 they were producing 300,000 bottles a year, with 40,000 going to markets around the world. Galil – The youngest series of Tabor Winery. This series is based on 100% of each variety, Cabernet Sauvignon, Merlot, Shiraz and Chardonnay. Adama – This series takes you on a sensual journey to the slopes of Mount Tabor. The vineyard takes advantage of its close proximity to chalk, volcanic and Terra Rosa soils and bubbling natural springs that supply its water. Mes’ha – This is the crown jewel of Tabor’s wine series. produced from carefully chosen hand-harvested clusters of grapes grown in our top-quality vineyards. Due to the selective harvesting, only a small quantity of wine is produced each time and not every year does the wine get released, giving expression only to the cream of the crop, thanks to winemaker Arye Nesher’s “terroir” approach to winemaking. In the search for perfection, the wines in this series are produced only under maximum conditions. Tal Cohen, had a 12 year career in the Marketing Department of Coca Cola-Israel (Tabor Winery‘s current owners), prior to coming to the US. Last evening she introduced each wine at the tasting. I found her charming, witty and very knowledgeable thus ensuring everyone had a great time while enjoying good wines. Galil Chardonnay 2009 – Light, fruity. Adama Sauvignon Blank 2009 – Chalk Soil – Pleasant and light, well balanced, far more complex than the preceding selections. It would make a great wine for a warm summer day. Galil Cabernet Sauvignon 2007 – Oaked for four months, it shows shows soft tannins integrating nicely with a light cedar note, opening with an appealing note of mint on the nose, then yielding to red currant, red berry and citrus peel notes. Adama Chalk Soil Merlot 2008 – Intensely dark garnet in color, opens with a rich mineral and black fruit nose, with gentle tannins on a medium- to full-bodied frame. It opens in the glass to reveal currant, plum and licorice notes and finishes with a generous hint of espresso. Adama Volcanic Soil Merlot 2006 – Aged for 12 months in French oak it has a dark garnet color, medium to full-bodied, with a sweet, almost jammy raspberry nose that goes on to show spicy plums, cherries and blackberries, complemented nicely by spicy cedar note, with fruits and tannins rising on the finish. Adama Volcanic Soil Cabernet Sauvignon 2006 – Deep garnet, medium to full-bodied with hints of white pepper and vanilla from the oak in which it aged. On the nose and palate traditional currant and blackberry fruits, those matched by notes of citrus peel, flinty minerals and, on the generous finish, hints of licorice and espresso. The Wine Spectator awarded it an 89 rating. Adama Terra Rosa Cabernet Sauvignon 2007 – Medium- to full-bodied, with soft tannins, hints of spicy wood and vanilla and mouth-coating tannins settling down nicely. Showing currant, blackberry and generous earthy minerals along with Mediterranean herbs. Round and generous. Mes’ha Shiraz/Merlot/Cabernet Sauvignon 2005 – Aged for 18 months in oak, this wine – Tabor’s pride – deep-garnet, medium to full-bodied wine with tannins and spicy wood integrating and opening to reveal black currant, berry and plum fruits on a background of spicy wood and Mediterranean herbs. Generous, well balanced and long. Daniel Rogov and Robert Parker each awarded it a 90 rating. The evening ended with a Tabor Wine, not currently available in the US, Tabor Pninim Lavan – From the gewürztraminer grape, it differs greatly from other products of the same grape in that is far more robust. 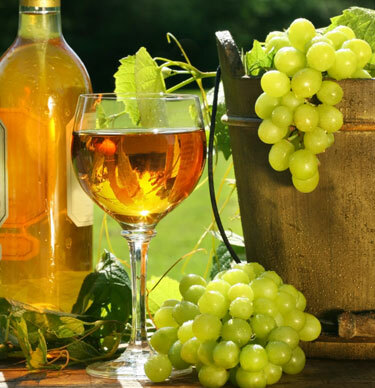 It isn’t merely a dessert wine like other gewürztraminer based wines. It is a sparkling wine, delightfully fruity but it ends in a dry note. For me it is a perfect wine, a perfect refreshment drink, for a hot lazy Sunday afternoon. I found Tal Cohen charming, witty and very knowledgeable as she directed the evening, ensuring everyone had a great time while enjoying good wines. Once again, Avi Ashman – founder and President of the Israeli Wine Lovers Club – has put together another superb evening of wine, cheese and fruit.